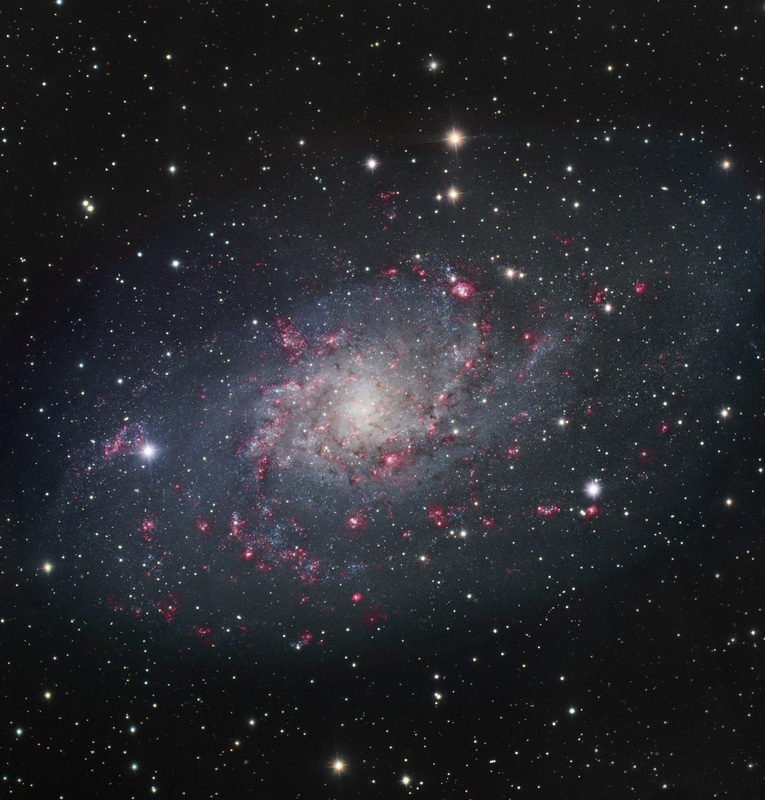 M33, the Triangulum galaxy, with pink star-forming regions and bluish clusters of newly-formed stars. Once the sky was fully dark I had a look at the Triangulum galaxy, which at a distance of less than three million light years from Earth is a local object by intergalactic standards. Its rangy spiral arms, tangled with glowing clouds of gas, spilled out beyond the field of view. As often happens, I was struck by the fact that all of these things, unimaginably big or small or hot or cold as they may be, really are out there. Like giant squid or loaves of French bread–and unlike, say, postmodernism or public opinion polls–they confront us with the regality of the materially real.